Due to the beautiful British weather, we are forced to endure the possibility of rain practically every month of the year. And whilst walking from one place to another can be rendered mostly dry by the handy umbrella, they aren’t always the most practical of devices (and when the weather catches you out, they aren’t always necessarily at hand). In the work place, at schools, hospitals and other public buildings, they often give you a helping hand by providing covered walkways. Hospitals quite frequently have covered entrance walkways. These entrance canopies aren’t some sort of one size fits all product, rather, they are a bespoke creation, designed to suit the building they are provided for. 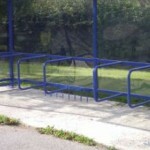 Whatever your specifications, it can be made to suit – we should know. We make them. 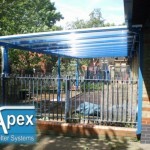 Where Can I Get Bespoke Entrance Canopies? From us of course. We take a lot of pride in our work and we will always go the extra mile to make sure that you are happy with the finished outcome. We will keep in contact with you throughout the process, right from the inception, and the CAD drawing through to the installation. We build all of our goods to your specifications in house and then our talented team will schedule a time to arrive with you on site to begin the installation of your entrance walkways. Every member of our on-site team is fully CRB checked in advance. 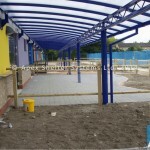 Our entrance canopies are practical, modern and robust. 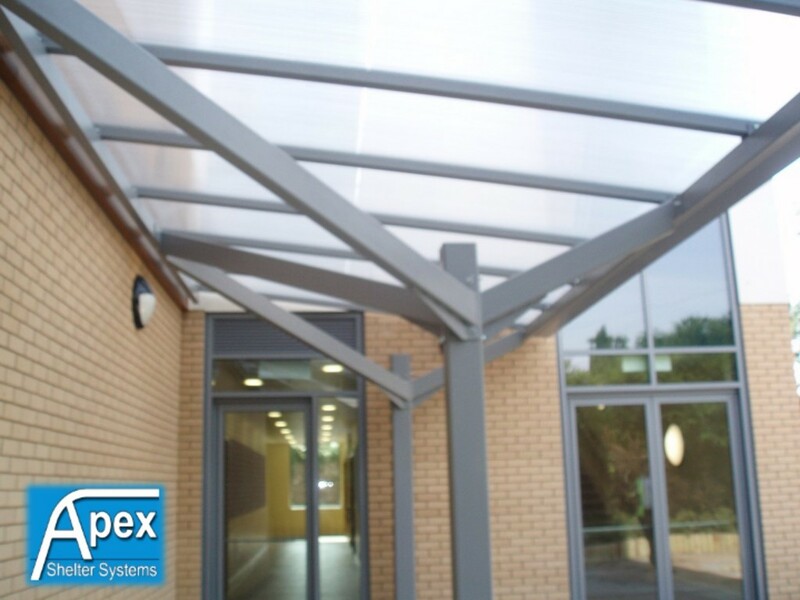 If you are in need of a covered walkway above your entrance or surrounding your building give us a call and we’ll provide you with a free quote regarding an entrance canopy with no hidden costs!